Rent Duchman Family Winery | Corporate Events | Wedding Locations, Event Spaces and Party Venues. The Duchman Family Winery was founded in 2004 by Drs. Lisa and Stan Duchman in a quest to bring world-class winemaking to Central Texas and the Texas Hill Country. 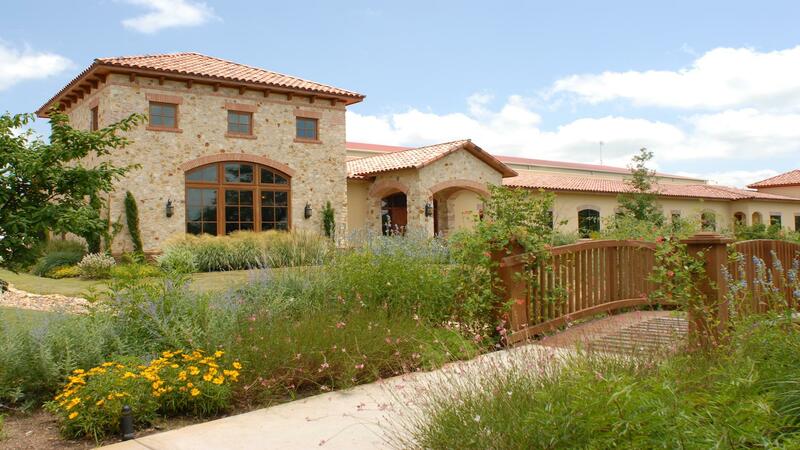 Duchman Family Winery is a slice of Tuscan heaven in the Texas Hill Country! Rolling Hill Country views & breathtaking sunsets behind our luscious vineyard make our winery the ultimate location for your private event. Family-owned and just a conversations-length away from downtown Austin, Duchman Family Winery boasts lush vineyards, a shaded picnic area, an Italian Villa-style event center not to mention our award-winning Texas wines. With our beautiful courtyards, romantic vineyard, majestic winery and spacious event center – our location has everything you need to host your special day. Our guests enjoy perfect Hill Country weather under the shade of our majestic oak trees and breezes blowing in off the vineyard… What setting could be better for your wedding day than The Duchman Family Winery?